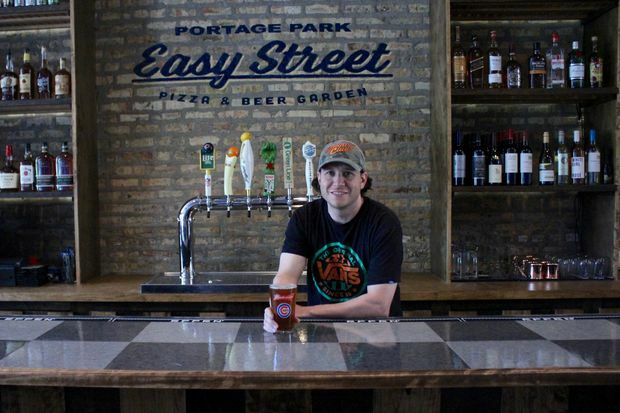 PORTAGE PARK — Easy Street Pizza & Beer Garden will celebrate its long-awaited grand opening on Thursday, capping off the brick storefront's six-month transformation from a neighborhood dive bar into an airy and inviting pub-and-grub at 3750 N. Central Ave.
Restaurateur Dan Latino signed a lease in December for the former home of K&H Lounge, which had spent 71 continuous years serving generations of Portage Park residents before it closed last year. Latino has since gutted and redesigned the building, bringing glossy tables and padded booths under its exposed brick wall and ornate patterned ceiling. Latino's Waterhouse Bar Group also operates the The Country Club in Wrigleyville, Pitchfork Food & Saloon in Irving Park and Waterhouse Tavern & Grill in Roscoe Village. The owners acquired the former home of Teresa's Weddings & Fashion, 3754 N. Central Ave., and converted the space into a full-service kitchen for Easy Street. The resulting menu revolves around pizza and specialty sandwiches, plus some of the most popular appetizers pulled from Latino's other locations, he said. The eats will accompany a bar with a half-dozen original cocktails and a rotating list of 10 beers on draft, including domestic, imported and local craft brewers. Latino is also hoping to open a small patio behind the building by July, he said. 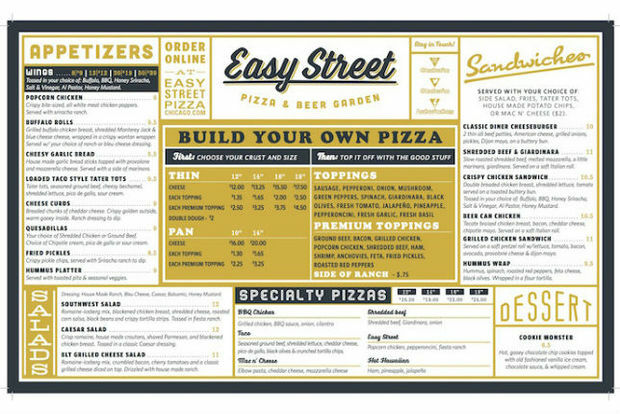 Easy Street Pizza & Beer Garden is open from 4 p.m.-2 a.m. weekdays, noon-3 a.m. Saturdays and noon-2 a.m. Sundays.